Your force must maintain the same FORMATION(S) throughout the event. You can alter your formation and support. 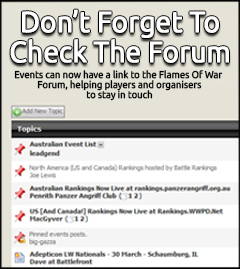 We will be using the battle builder mission pack please download from the flames of war website.